MicroNeedling is considered to be one of the safest treatment methods for natural skincare since it does not cause any damage to the skin or the epidermis. MicroNeedling employs the use of a special micropen containing 12 precisely spaced micro needles in a small cartridge to create invisible, vertical, micro perforations into the epidermis and the top layer of the dermis. As this micropen moves across the skin, the needles create tiny holes but without damaging the epidermis, or the outer layer of skin. As a result, the skin shifts it’s natural repair mechanism into high gear and starts producing collagen and elastin to repair these micro-perforations. The self-repairing property of the skin is a 100% natural form of skin renewal from the inside out. MicroNeedling is a collagen induction therapy treatment that works by creating numerous small microchannels through the skin, which stimulates the body to produce new collagen and remodel the treatment area. The microchannels allow active ingredients that normally cannot penetrate the skin, to pass through resulting in rapid improvements of the skin. The advantage of MicroNeedling compared to other treatments is that it not only activates cell regeneration, it also enhances the absorption of active ingredients such as growth factors, vitamin C, retinol, copper peptide, vitamin D, ferulic acid, alpha-lipoic acid and hyaluronic acid allowing for rapid improvements and stimulation of collagen production. Stimulates the body to produce new collagen and elastin, the skin’s connective tissue and the structural matrix responsible for smooth texture and elasticity. Mild to moderate acne scarring; any new or old scars. Improves the appearance of superficial scarring. Helps to fade stretch marks. Northwest Aesthetics utilizes the SkinStylus MicroNeedling System which offers exceptional controlled and adjustable delivery of treatment ingredients like no other MicroNeedling systems available on the market. Avoid retinoids and treatments for autoimmune disease for 24 hours prior to your treatment. Avoid sun exposure to the area to be treated for 24 hours prior. This procedure cannot be performed if you have used Accutane or Isotretinoin within the past six months. 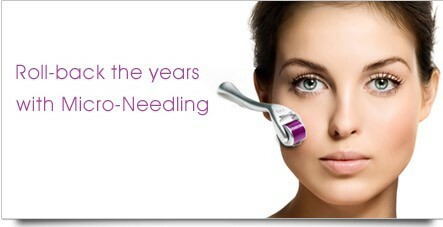 MicroNeedling treatments are available at Northwest Aesthetics Bellevue and Kent, WA locations.